A new bill that will legalize Church-annuled marriages has been approved by the House committee on population and family relations. 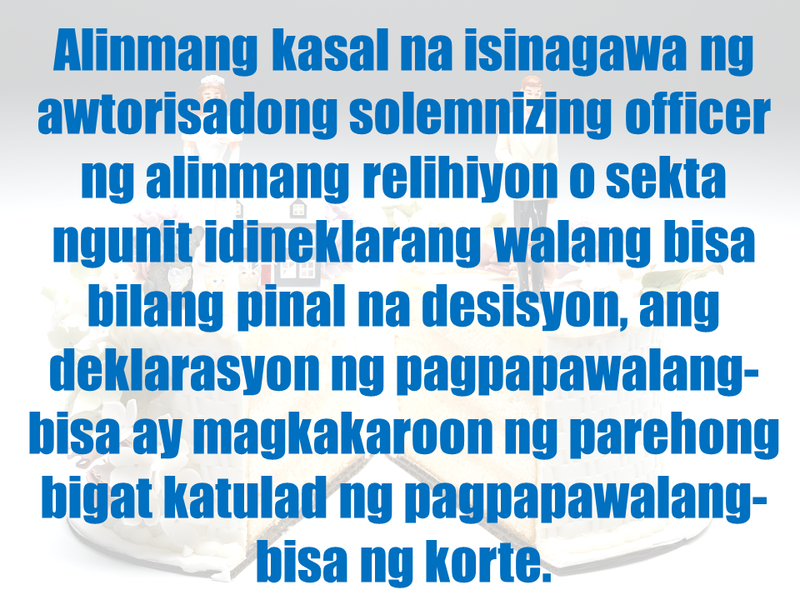 recently approved the bill without a number yet as a substitute for House Bills No. 1629 and No. 3705, both of which sought the recognition of the civil effects of the Church annulment of marriages. 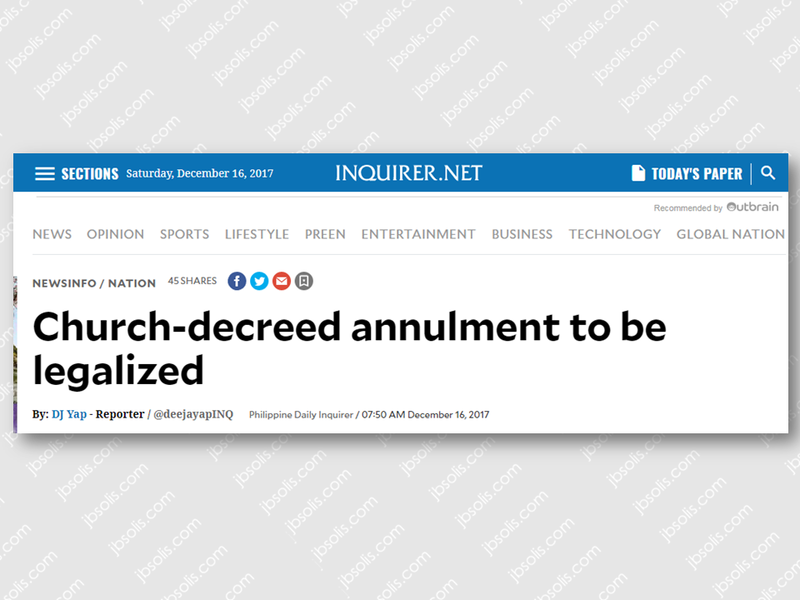 It further provides that the final judgment of annulment issued by the church or religious sect shall be recorded in the appropriate civil registry within 30 days from its issuance. 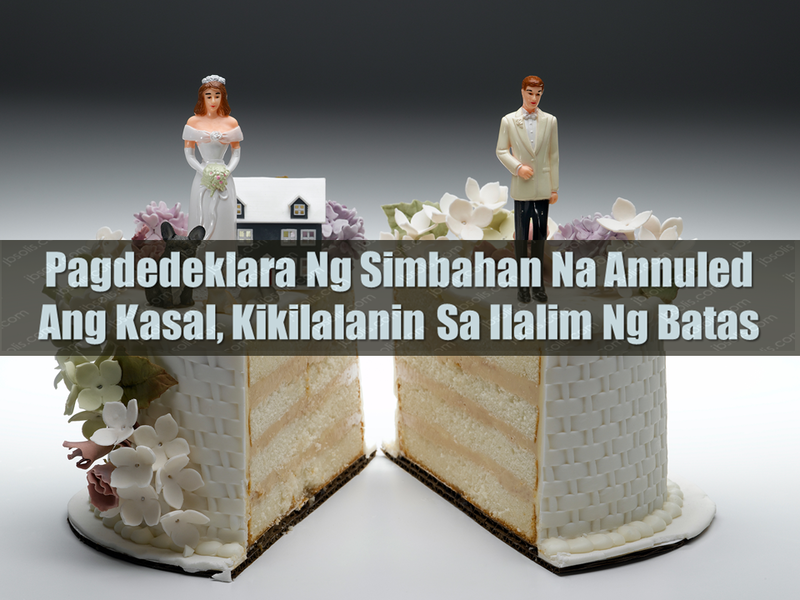 the spouse involved must present a certified true copy of the final judgment or decree of declaration of nullity, annulment or dissolution of marriage registered with the appropriate civil registry prior to securing a marriage license. Due to the principle of separation of Church and State, there are separate processes in nullifying a marriage in a church and before the civil court. 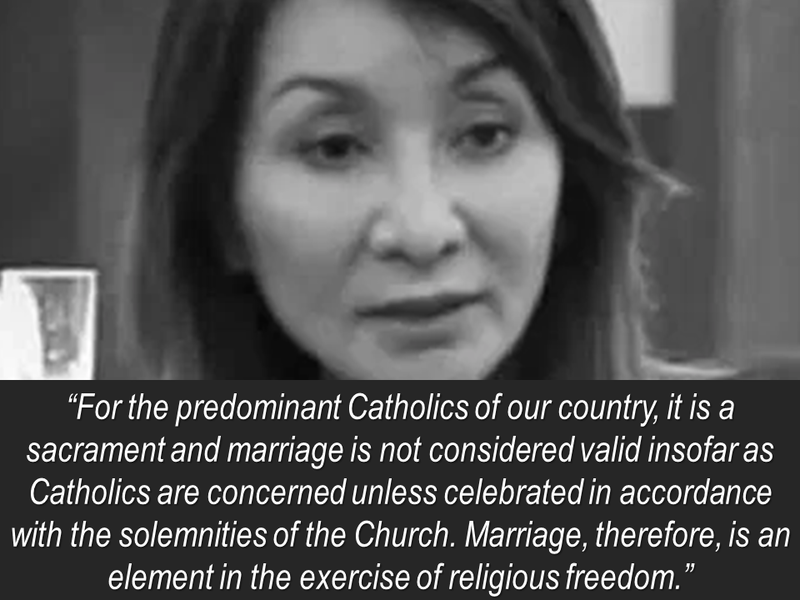 She also said that, logically, if the marriage, insofar as the contracting parties are concerned, is validated by the laws of the Church, then it necessarily follows that by the same laws, such marriage can also be invalidated or annulled.